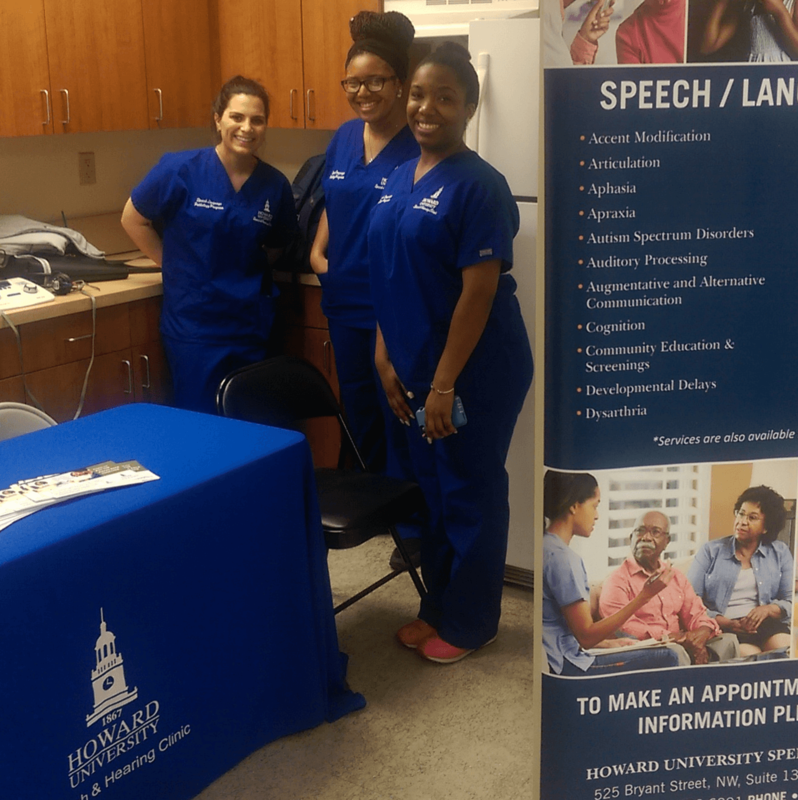 LeDroit Park Health Fair was a joint effort among the HU Community Association, the Office of Off-campus Housing and Community Engagement, and HU Hospital. 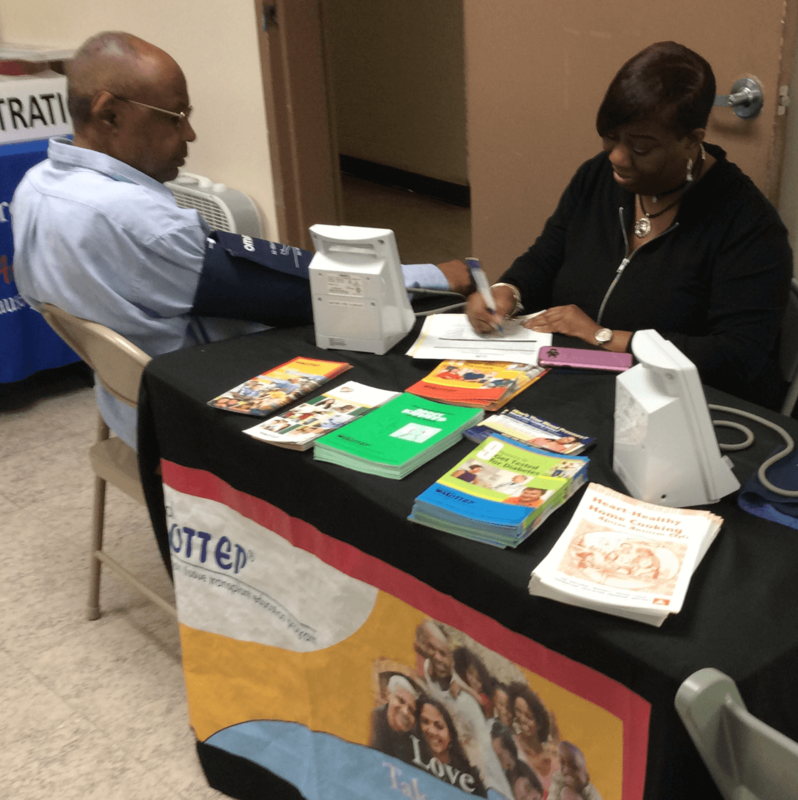 The event took place on Wednesday March 29, 2017 at the LeDroit Park Senior Public Housing Complex. 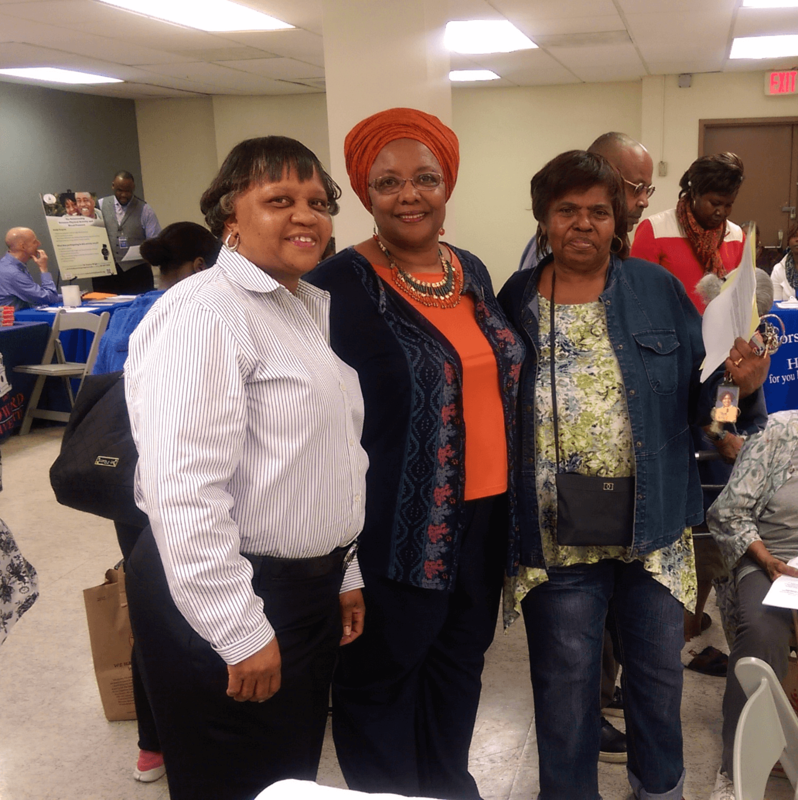 About 1/3 of the residents attended the fair. 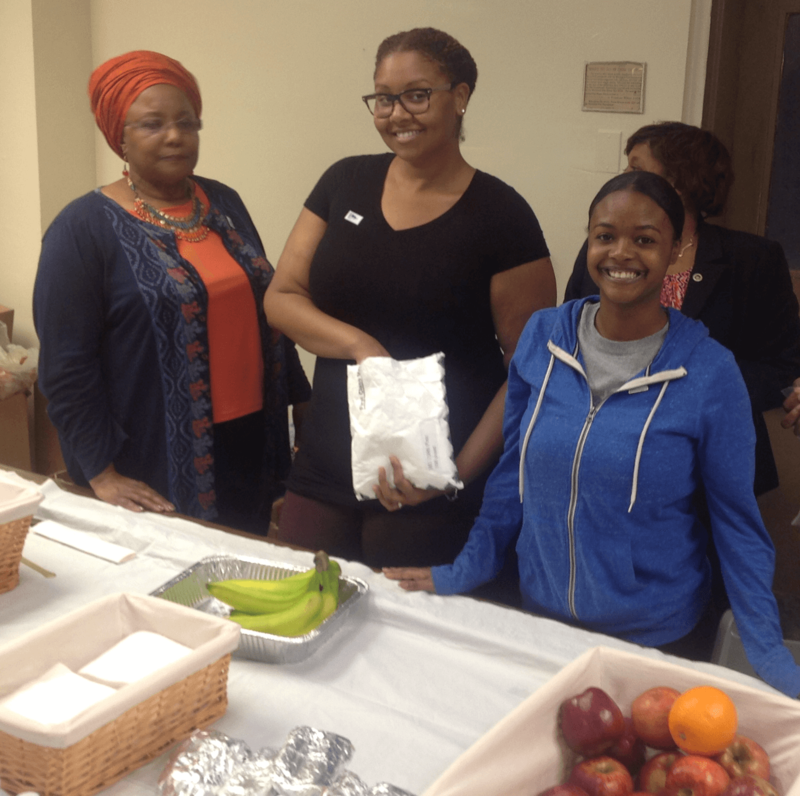 There were numerous free screenings available to the residents, courtesy of health sciences students and residents. 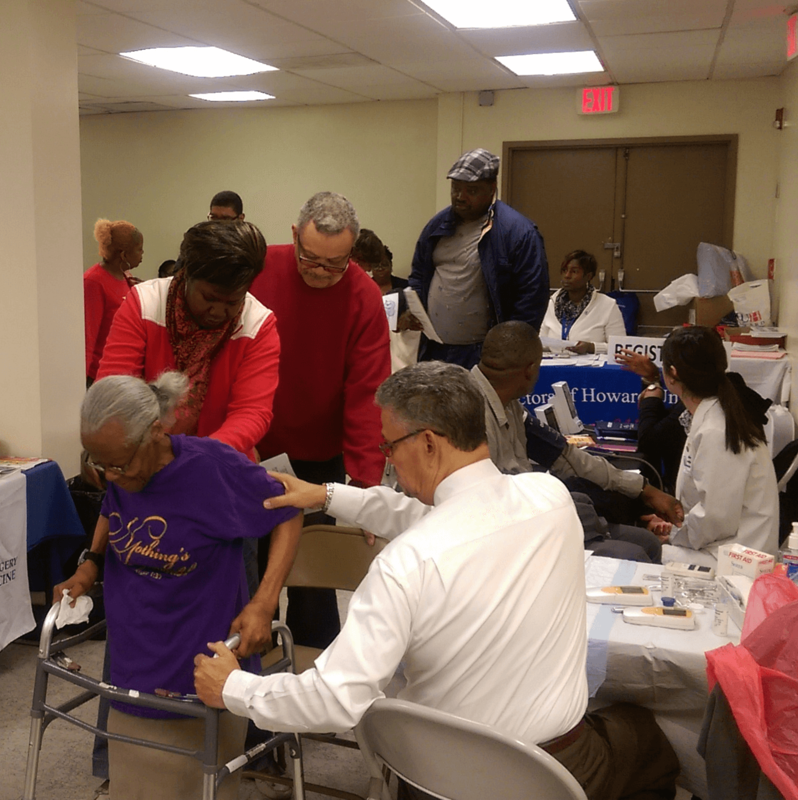 The screenings included vision, hearing, dental, blood pressure, blood sugar, and body mass index. 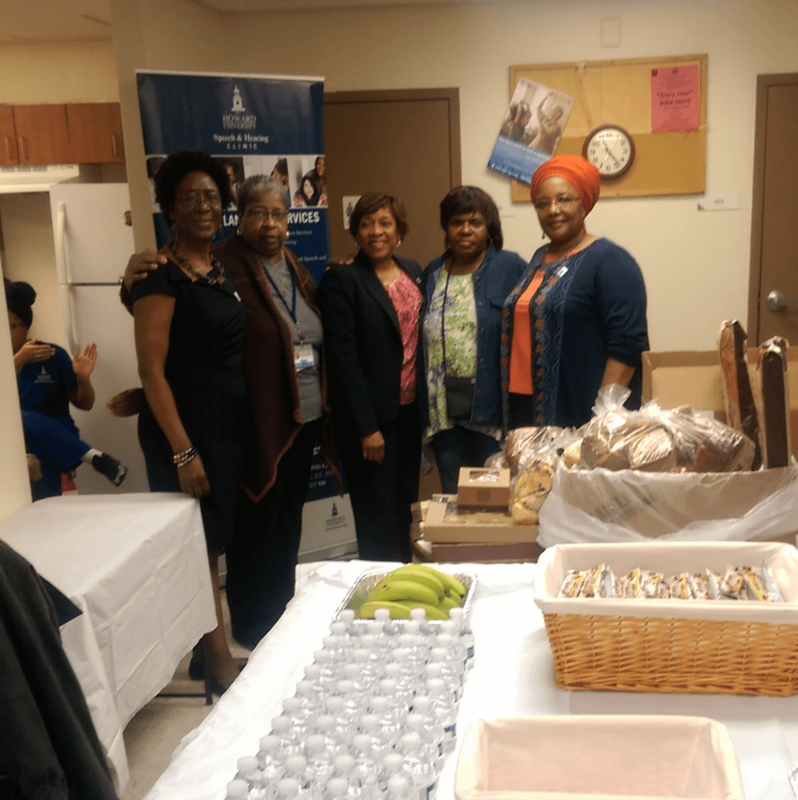 The health fair also had healthy snacks available, including treats from Panera Bread provided by Yahweh Outreach International. 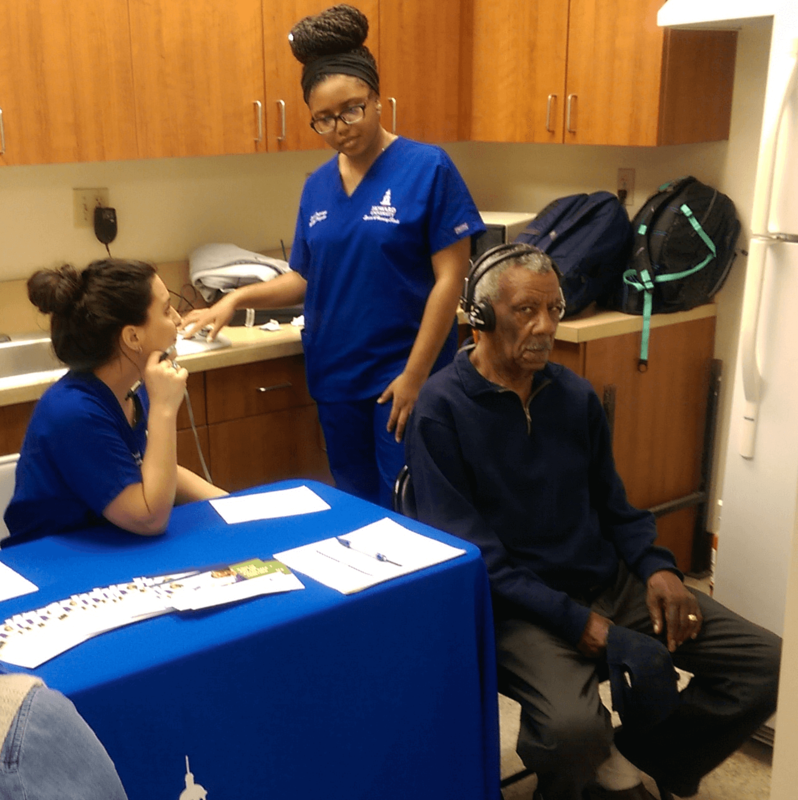 Hearing and Speech Pathology students conduct hearing test on a resident. 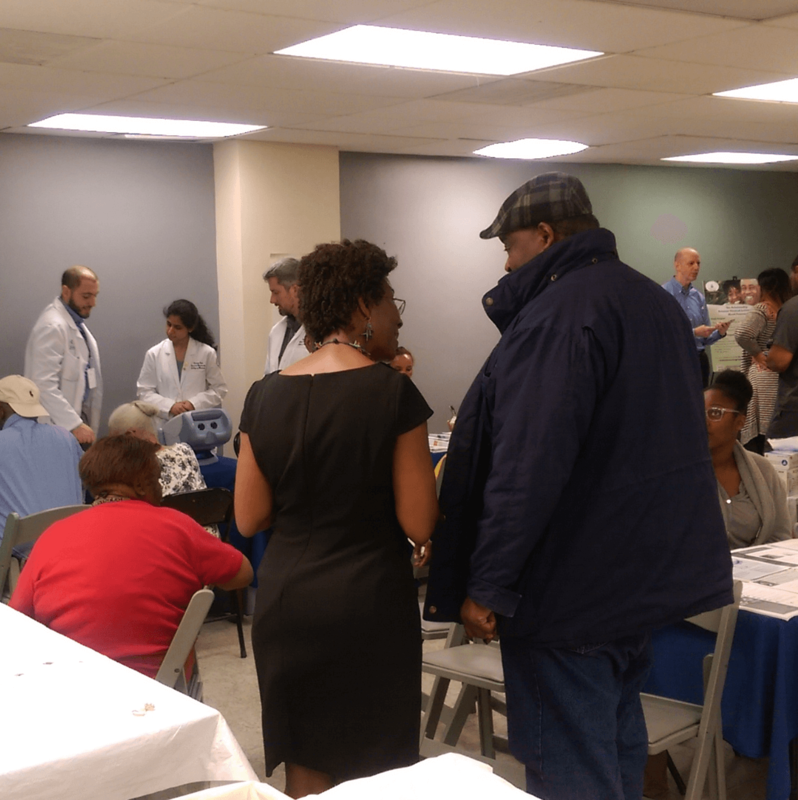 Residents receiving screenings and health information at the Health Fair in the LeDroit Park Senior Complex Community Room. 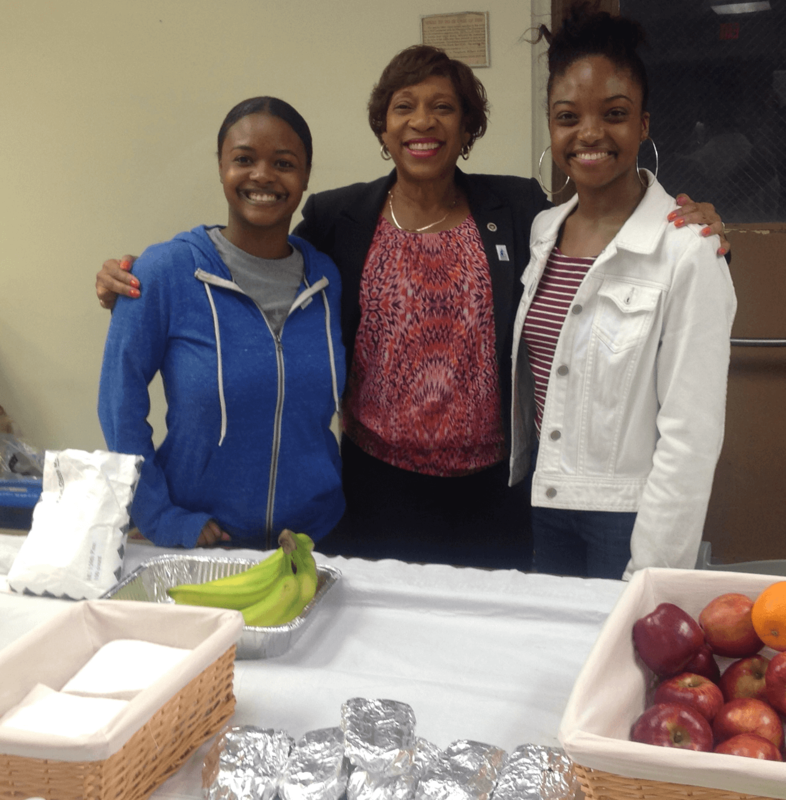 (foreground) Dr. Fatima Barnes (Exec. Dir. 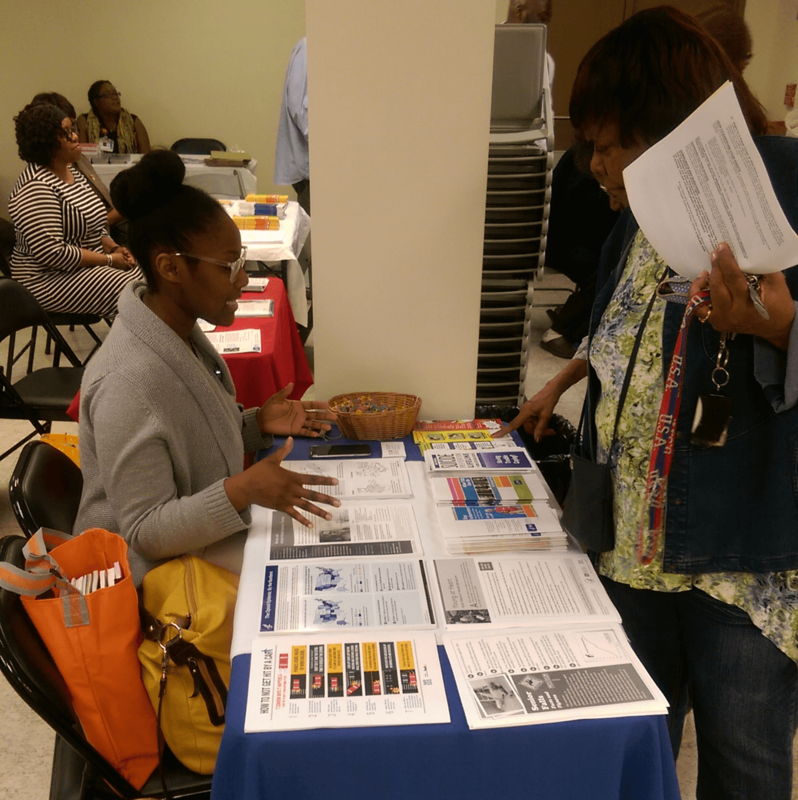 of Louis Stokes Health Sciences Library) explaining results of a body mass index screening to a resident. 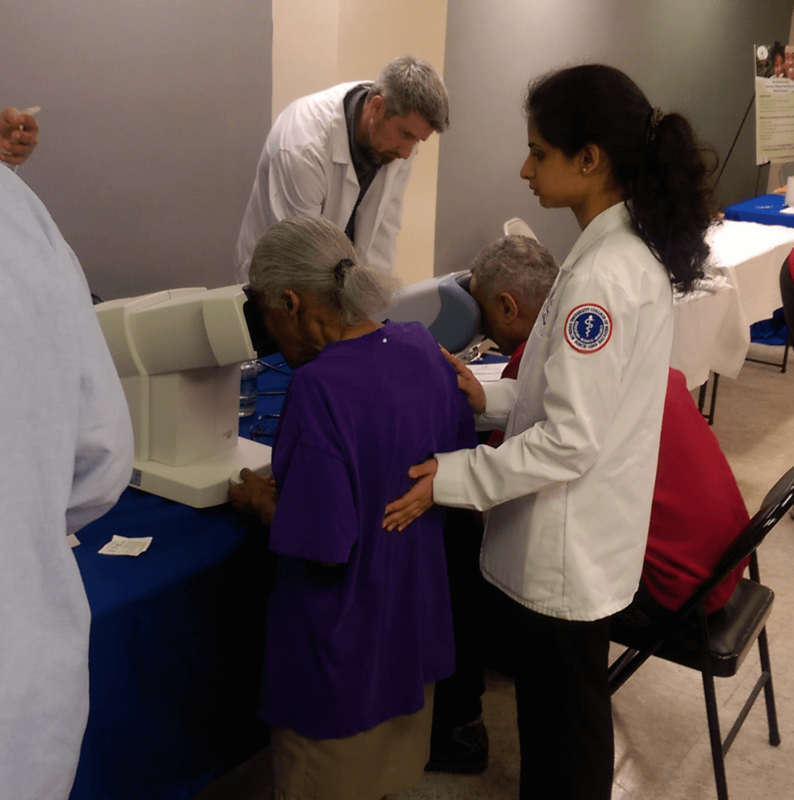 (background) Ophthalmology students conducting vision screenings. 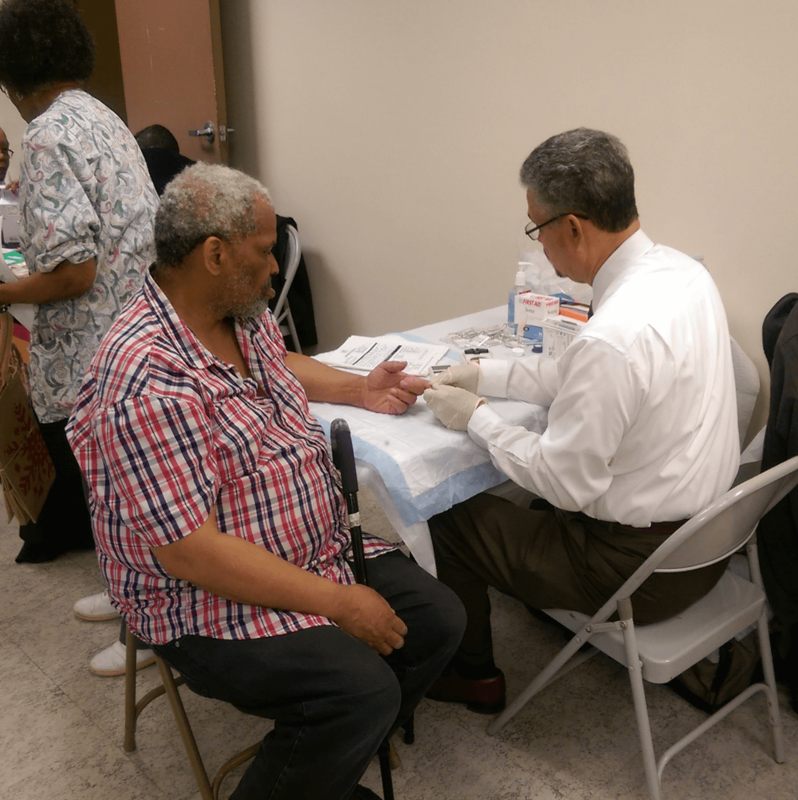 A resident having his blood pressure tested.